The Ketogenic Diet: A Solution to Ireland’s Obesity Epidemic? 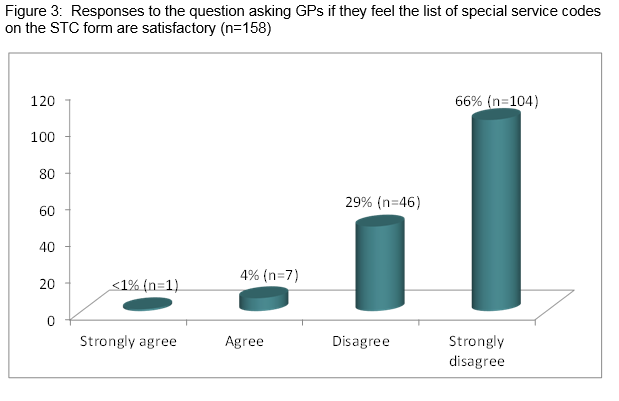 Satisfaction rates with the current Special Type Consultation (STC) reimbursement scheme among General Practitioners – A Mixed Methods Study. Kiely et al report on a survey of the STC scheme. The message is that the scheme is outdated and in need of revision. Gill and Sharif report on the findings of a questionnaire about fetal alcohol syndrome. Knowledge about the condition is variable. One third were unaware of the condition, while 34% believed that most children have dysmorphic features. 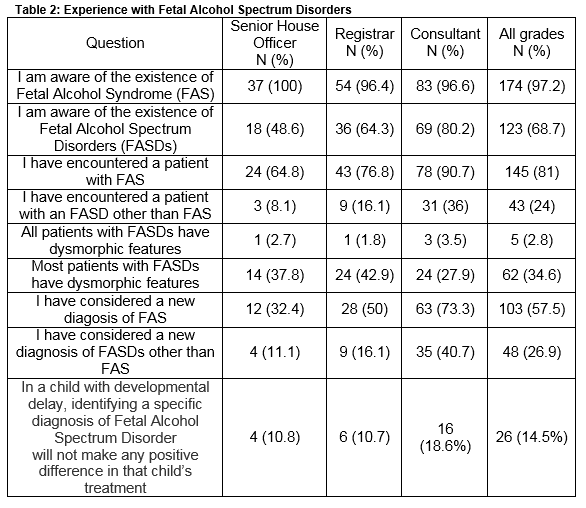 40% ask about maternal alcohol consumption in the context of developmental delay. Nurse Triage in an Irish Out-of-hours General Practice Co-Operative. Mulcahy et al describe the role of triage nurses in out of hours GP co-operatives. Among 110,039 contacts with the service, 19,147 (17.4%) were managed by nurses. Sheridan et al report on the activity of the helicopter emergency services (HEMS). The service was established in 2012. In 2014, 39 patients were transferred via the HEMS to Tallaght hospital. 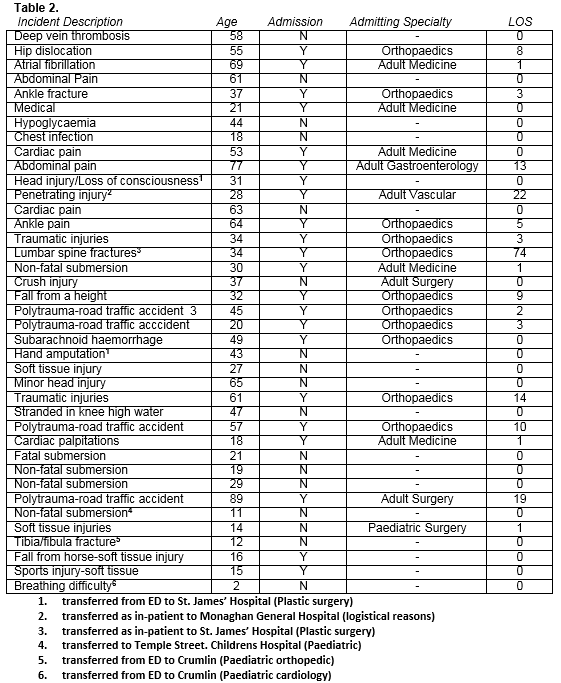 The commonest reasons for transfer were plastic surgery input (50%) and paediatric care (38%). 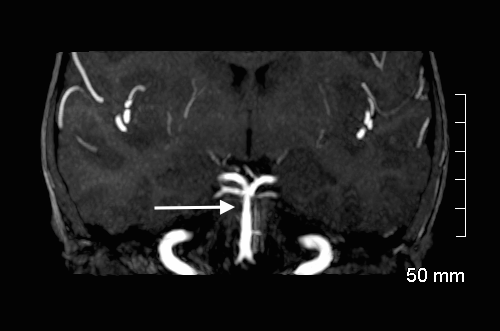 Walsh et al describe 2 children with posterior circulation stroke (PCS). PSC stroke presents with variable symptoms including hemiparesis, headache, altered consciousness, neck pain, seizures, and ataxia. Figure 1: Coronal Maximum Intensity Projection (MIP) of an intracranial time of flight MRA revealing a subtle irregularity and relative narrowing of the distal basilar artery (white arrow). 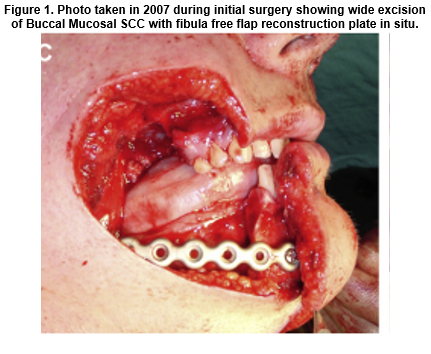 Nolan et al describe a case of oral squamous cell carcinoma in a patient with Fanconi’s anaemia. 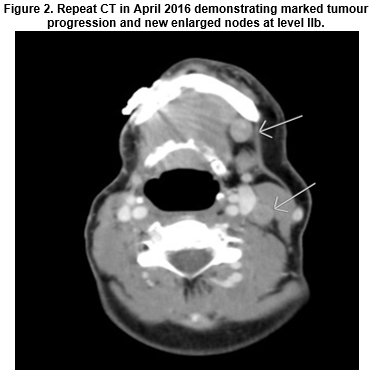 The patient previously had a bone marrow transplant, which causes a 2-4 fold increase in the risk of head and neck cancer. 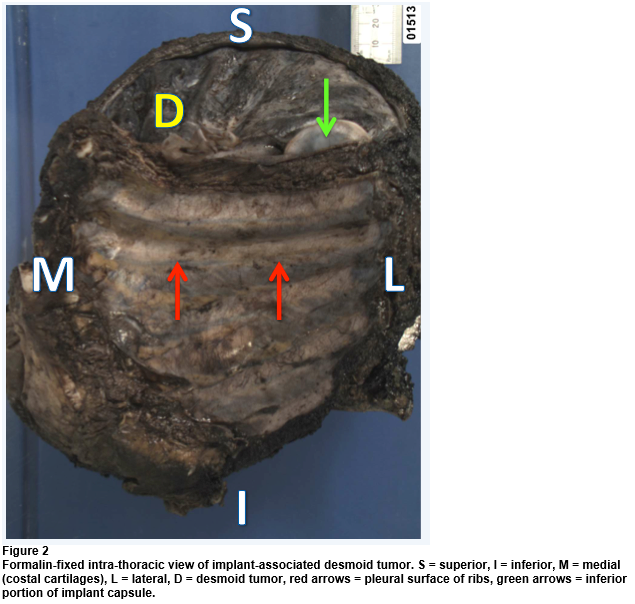 Collins et al describe the management of a giant thoracic desmoid tumour. The patient had a previous history of breast cancer. Dilated cardiomyopathy secondary to vitamin D deficiency and hypocalcaemia in the Irish paediatric population. A case report. Glackin et al report 3 infants with dilated cardiomyopathy (DCM) secondary to severe vitamin D deficiency and hypoglycaemia. 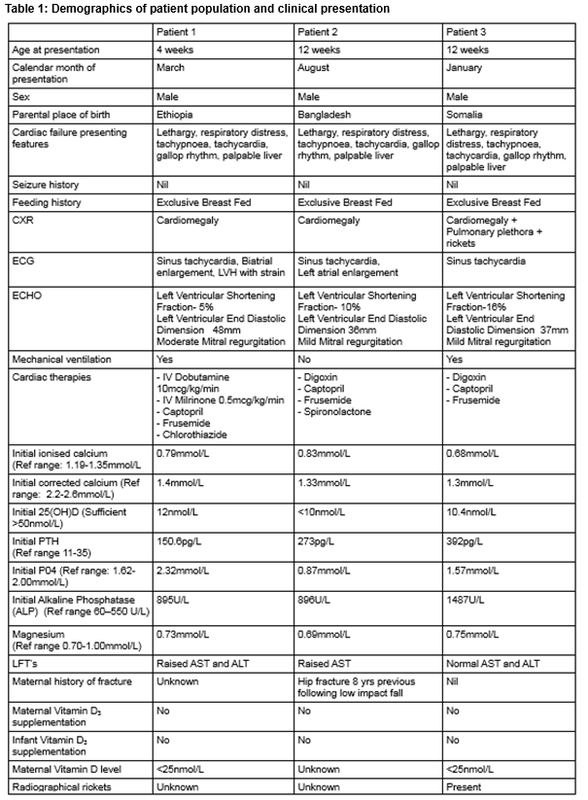 The infants presented in cardiac failure. The infants were treated with vitamin D, calcium supplementation, diuretics, captopril, and digoxin. 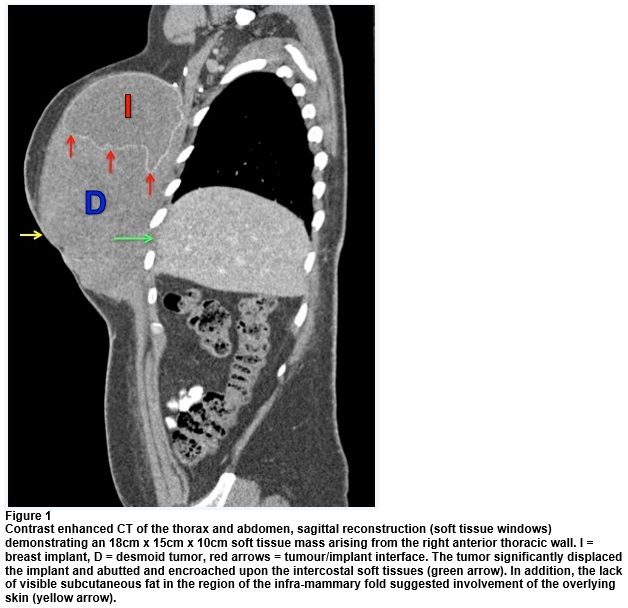 Nason et al describe a case of penoscrotal constriction due to a titanium constriction ring. Under sedation with Ketamine, Fentanyl, and Propofol the ring was divided by the fire brigade with an electric hand operated axel grinder.